Zellij Gallery are masters of Zellij craftsmanship, with 104 years’ experience working in the craft. 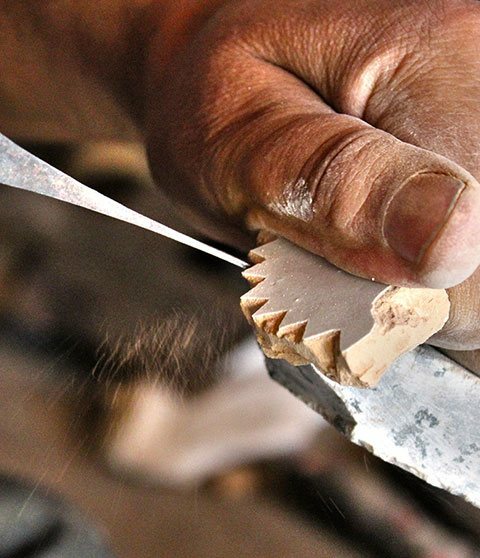 They bring to life the ancient traditions of Moroccan tile making and design. 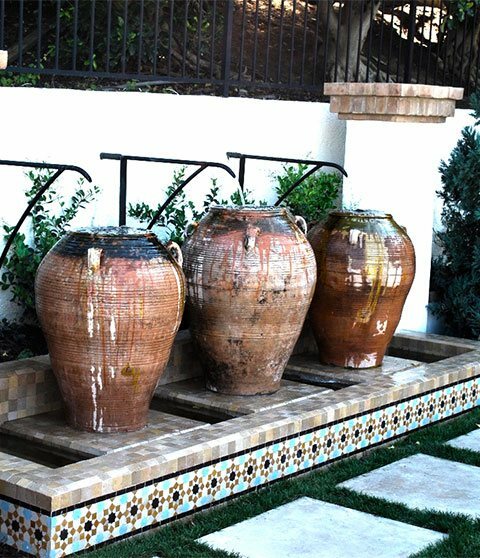 We are an American family business with a long heritage of authentic Moroccan tile making. 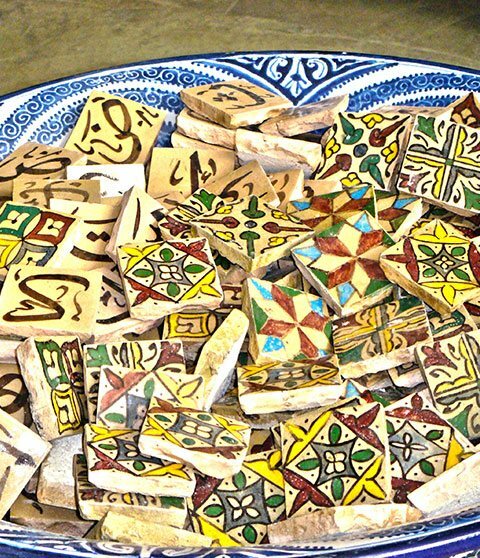 Our ancestors, based in Fez, Morocco, have been designing and creating Moroccan tiles since 1912. We utilize the latest in technology to provide a valuable, easy to use Mosaic Color Matching tool and Zellij color select tool to help you customize the right color and style combinations for your Moroccan tiles. Our design team offers renderings which can assist you with your tile and color selections . 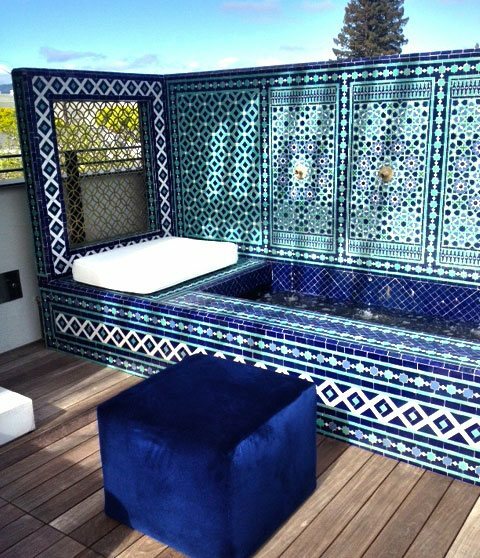 We also offer installation services for larger, more complex, projects that require the expertise of our Moroccan installers. 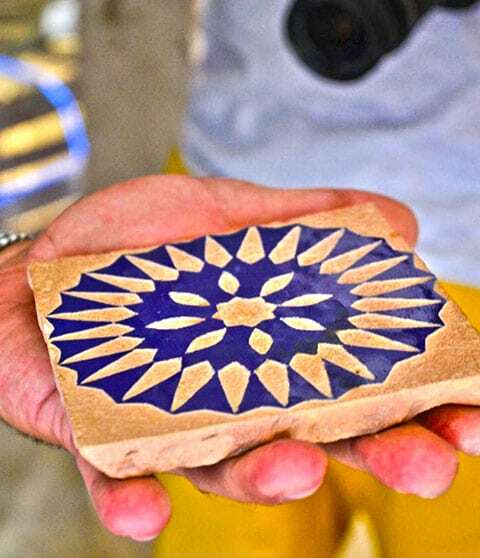 Zellij Gallery offers a huge range of authentic, handcrafted Moroccan tiles. To browse our range, click on the product categories below. 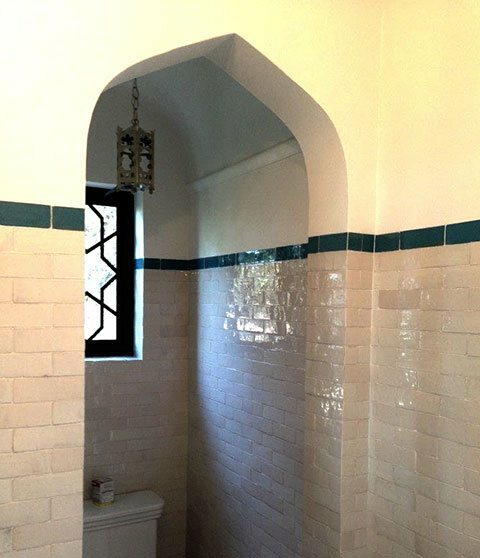 We are always adding new designs and styles to our Moroccan tile range. Browse this section to see our latest products. Zellij tiles are decorative in design, with each mosaic piece precisely crafted by highly trained ‘Maallems’. 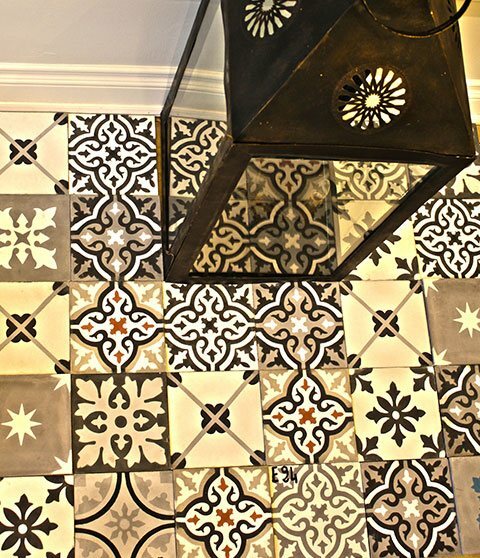 Cement tiles are a natural beauty and a very sturdy choice for any indoor or outdoor project. A great choice for both wall and floor applications. For a subtle infusion of Moroccan style, check out our Zellij Borders, featuring a range of colors and styles to suit any project. A unique collection of intricate hand-painted tiles created by artisans, sure to make a statement in your home. Loose field tiles are suitable for a wide range of projects. 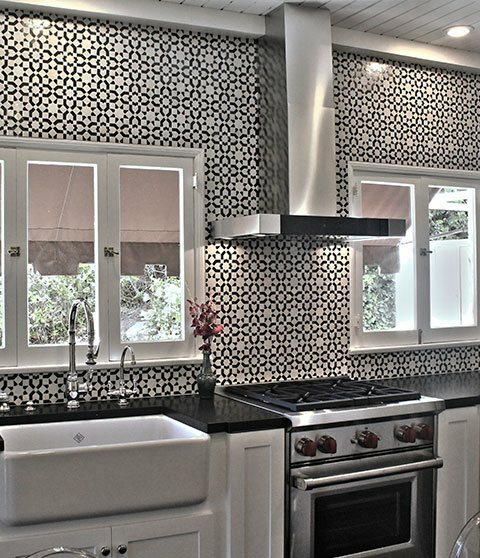 Create your own patterns or use these Moroccan tiles to break up other tiled patterns in your home. Our versatile collection of chiseled tiles suitable for use as wall tile, available in a range of colors and styles. Get in touch with the Zellij Gallery team. We can answer any questions you may have and assist you to choose the right product for your project. Call us 323-804-0503 or send us an enquiry form via our contact page.